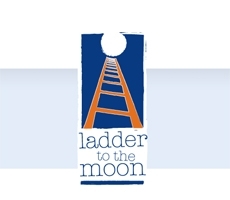 "Ladder to the Moon provides workforce and service development that enables health and care organisations to develop active, creative, vibrant care services. We use approaches that incorporate creativity and the arts, and involve staff, older people living with dementia and other long-term conditions, and the wider community." They have developed the Relationship Theatre - which involves working with people in care homes to create films. From what I can tell, it seems rather than looking predominately on the care of the residents, the focus is on the sound business sense of developing staff within a business case. If your staff are well trained, there is increased morale and a better environment to work within, making it better to live in. Interestingly, I've never fully considered this side to the equation - or quite to this level of business acumen, but I imagine if it still improves the well being of people - is it just the other side to the 'pincer'?